D. Y. SHI, born in 1965, is currently a professor and PhD candidate supervisor at College of Mechanical and Electrical Engineering, Harbin Engineering University, China. Her research areas of interest focus on structural design and optimization, design method and theory, numerical analysis and computational method. SHI published more than 30 academic papers those were indexed by SCI and EI. Prof. J. Hu received his MS degrees from (1) G.W.W. School of Mechanical Engineering and (2) School of Civil and Environmental Engineering, respectively, in Georgia Institute of Technology. He then received his Ph.D. degree from School of Civil and Environmental Engineering, Georgia Institute of Technology. Dr. Hu has been Post-Doctorate Research Fellow at Structural, Mechanics, and Material Research Group in Georgia Institute of Technology. 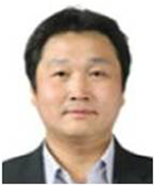 Dr. Hu also worked as an Associate Research Fellow at the Korea Institute of S&T Evaluation and Planning (KISTEP) and an Assistant Administrator at the National S&T Council (NSTC) for two years. He is currently a Professor in the University of Incheon. He has been active in the member of ASME and ASCE. His research interests are in the area of computational solid mechanics, composite materials, and plasticity modeling.